I’ve stopped asking entrepreneurs how their work day starts because 99.9% of them respond with “checking email.” The only difference is that a few prefer tea instead of coffee to accompany this morning ritual. Is it possible to enhance the unavoidable read and respond routine? ContactMonkey believes that there is a better and smarter way to make use of all that email time. 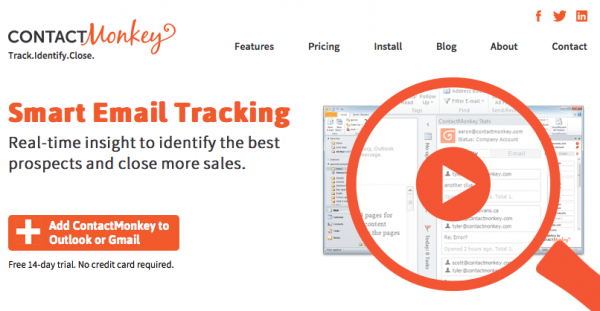 ContactMonkey is an email tracking tool. This plugin for Outlook and Gmail monitors email traffic in real-time, allowing people who work in sales to identify leads that are the most promising, make more sales, and close more deals. Email data lets companies know what happens to their messages after hitting “send,” which helps them make smarter, more productive business decisions. A convenient sidebar keeps email information close at hand. And while it’s easy to forget emails sent months ago, (not to mention days or even minutes ago), this always-on tool never loses sight of important correspondences. Check out all of their features now. Gaining contacts, developing business relations, and winning customers all require tremendous effort. Since email is such an essential tool for growing business, it only makes sense to use email wisely and to its maximum potential. ContactMonkey provides insights into email traffic that help identify leads and maybe even adjust procedures. Spotting interest and watching trends help to both time and target emails with greater precision. More effective email efforts equal better sales. ContactMonkey advances email practices, but demands minimal effort. Tracking begins automatically after installation. This spares founders the hassle of messy configurations. What’s more, internal communication and daily protocols aren’t disturbed the slightest. Any changes to email habits will come about after learning how to act smarter based on gathered data. ContactMonkey invites Curious Georges to give the plugin a try with a free, 14-day trial period. Afterward, a monthly subscription costs $4.99, a yearly subscription $49.99. Call (416-304-9696 ) or contact ContactMonkey for more information regarding team pricing. Scott Pielsticker founded ConstantMonkey in 2011, sensing that email was long overdue for innovation. As a serial entrepreneur, he experienced firsthand the frustration of wondering if his sales pitches were going unread – or if he was communicating his vision effectively – which led him to create his own solution. Before working on ContactMonkey, Pielsticker also founded Blueback, a London taxi service that he eventually sold to Addison Lee. Based in Toronto, ContactMonkey received $800k in seed funding in March 2012, backed by PlazaCorp Ventures. The company has since shifted away from sharing contact info (and the primate assistant, Rupert) to focus on delivering an intelligent tracking tool. 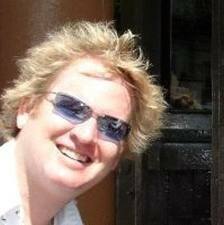 Find ContactMonkey on Facebook, Twitter, or LinkedIn.